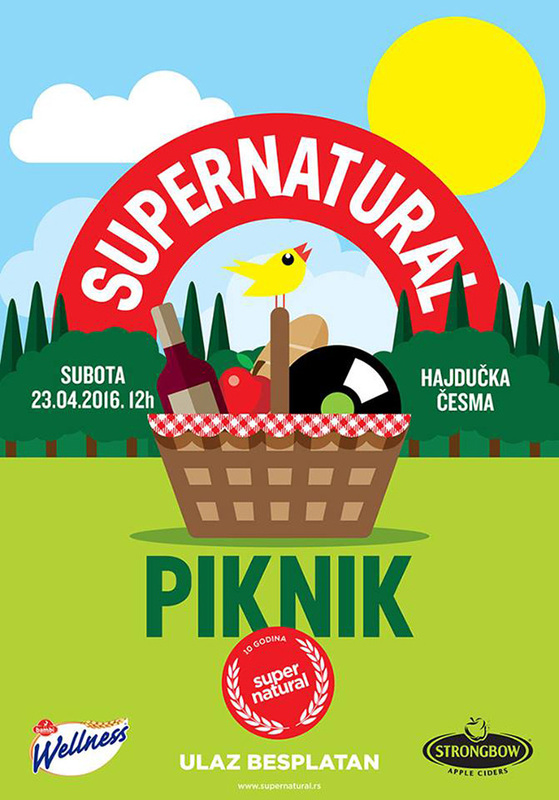 Supernatural celebrated its jubilee, 10 years since its foundation.This anniversary was marked by unique birthday picnic on 23rd of April, at Hajdučka česma in Košutnjak, where the first Supernatural festival was held.Throughout the day, all fans of the festival could enjoy in a wonderful day and numerous programs that were divided into 3 segments: a musical program, wellness program and Supenatural market. In the musical part of the program were: DJ Brka, Vlada Janjic, the Good life team and many others. In the Wellness program visitors were practicing yoga and Capoeira and gaining skills and knowledge about nutrition through the program of Ms. Boba Vujnović. On the Supernatural market were numerous exhibitors of healthy food. Executive Production of the festival was done by Marsh Creative Production.